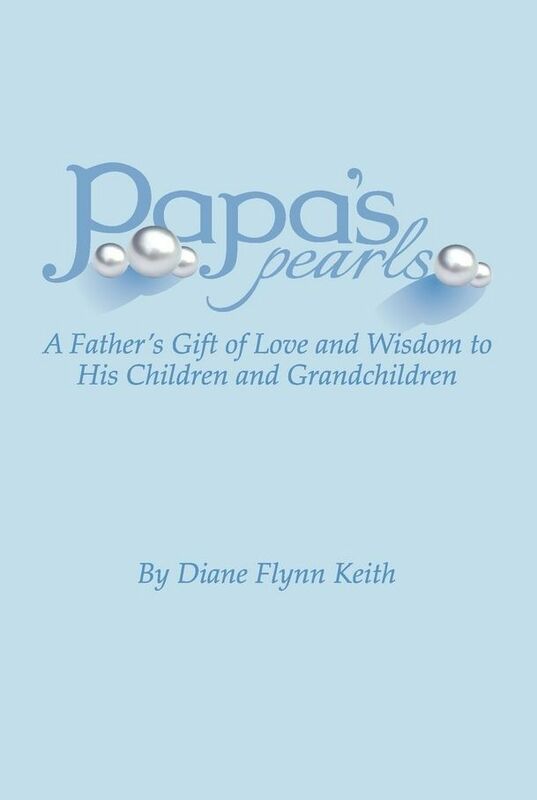 Recently, members of the Schoolhouse Review Crew had the privilege of reading Papa’s Pearls: A Father’s Gift of Love and Wisdom to His Children and Grandchildren by Diane Flynn Keith. This book tells the story of Carol Joseph Flynn, otherwise known as “Papa.” Early on in life, Papa experienced much hardship and adversity which led to misbehavior in school and eventually to involvement in criminal activity. What he thought was the worst thing that could happen to him actually turned out the be the very thing that helped him to turn his life around.Papa became a loving husband and father and passed on life lessons and practical wisdom to his posterity through quirky sayings like “You gotta use your street smarts,” “Tell yourself you like it,” and “Keep a foxy pocket.” Diane Flynn Keith continues her father’s legacy by sharing in her book his insights on how to live a positive, productive, and satisfying life. Each chapter revolves around several of Papa’s sayings and real life stories that inspire readers to work hard, build loving relationships, and live life to the fullest. An autographed copy of Papa’s Pearls: A Father’s Gift of Love and Wisdom to His Children and Grandchildren is available for $21.97 which includes shipping. A big thank you to Brandi T. of Autumnfawn Lane for writing this introductory post.